7 x 7 stainless steel wire. Feels more like braid than wire. Has very little memory or stretch. 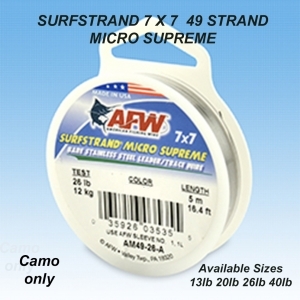 Available in 13lb, 20lb 26lb 40lb 5m spools.